Jeanette MacDonald and Nelson Eddy rock! “Sweethearts” has been back on Amazon’s Best Seller list this week. Snapped a screenshot tonight of the Artists and Entertainers top 100…it’s currently #77! So glad that people are reading and learning about these two amazing artists. Wow! Didn’t expect that! 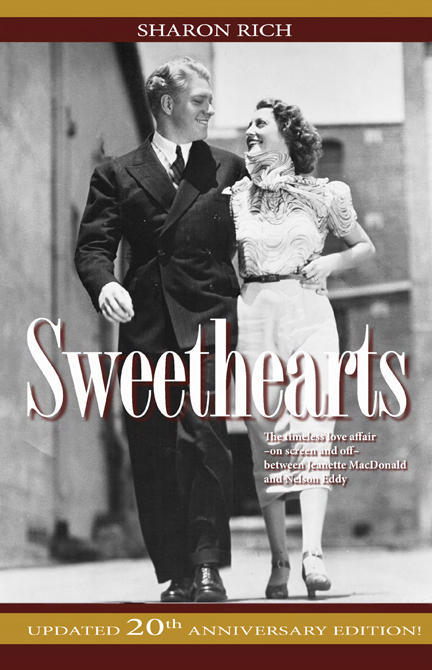 The day after the TCM Jeanette MacDonald and Nelson Eddy film marathon, the Kindle edition of Sweethearts is currently #88 in “Actors and Entertainers.” Thank you all who purchased it! For Jeanette MacDonald and Nelson Eddy fans: if you have an Amazon account set up with “Kindle Unlimited”, you can for a limited time click on the book cover above, download and read the Kindle edition at no charge. You’re welcome 🙂 and if you enjoy, please leave a review!